How to keep the press hungry for another Ice Age? Another daring challenge from our friends at Fox: how to keep the launch of a 4th movie as fresh as the first one? We opted for something sweeter than sweet and bigger than life. The press has a great influence on most of our movie launch campaigns. We knew we’d need to come up with something surprising to keep the fourth sequel on their buzz-meter. We decided to take ‘contacting the press’ to a new level. With a cup cake attack. 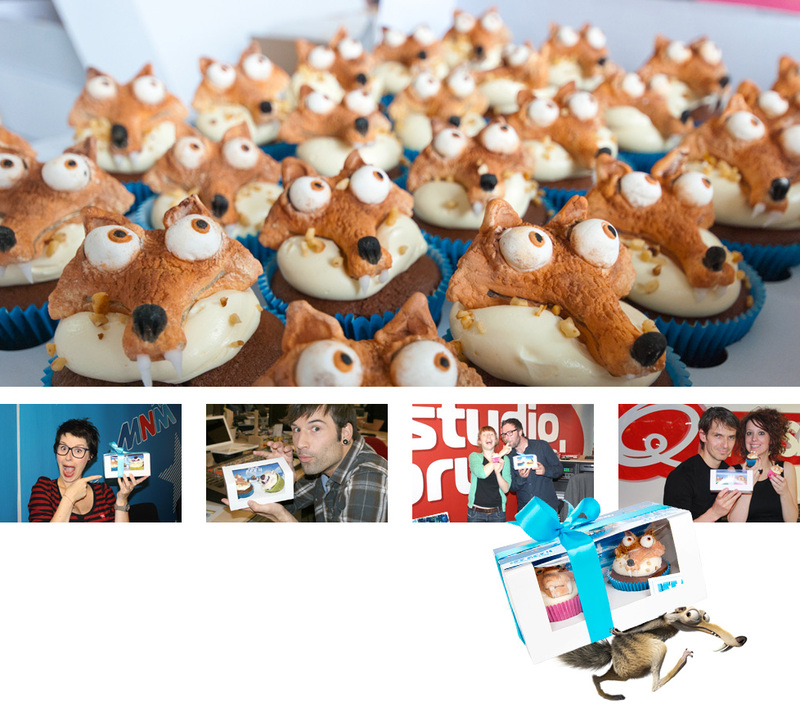 In cooperation with a cupcake expert, we recreated Scrat & Co in the form of 375 handmade cupcakes. Together with some useful info about the Flemish voice cast, these were personally delivered to all our press contacts and neighboring social media aficionados. Since love goes through the stomach, the results could only be as good as our cupcakes. Luckily for us they were delicious! In no time our homemade pastry appeared on famous people’s Facebook and Twitter account. 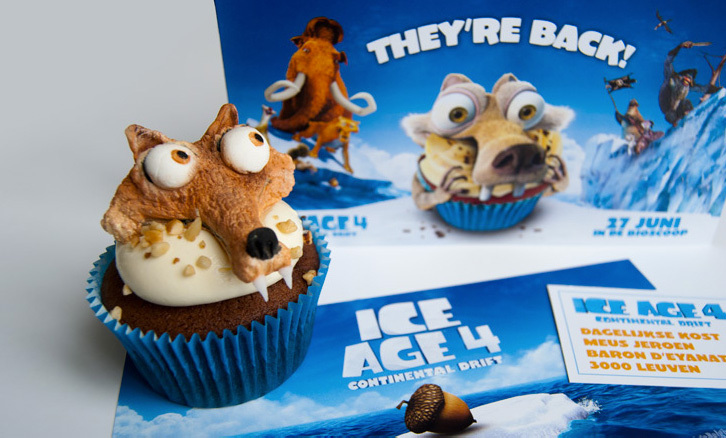 The cupcakes and Ice Age 4 were even mentioned on national radio station Studio Brussel for a full minute, during primetime! 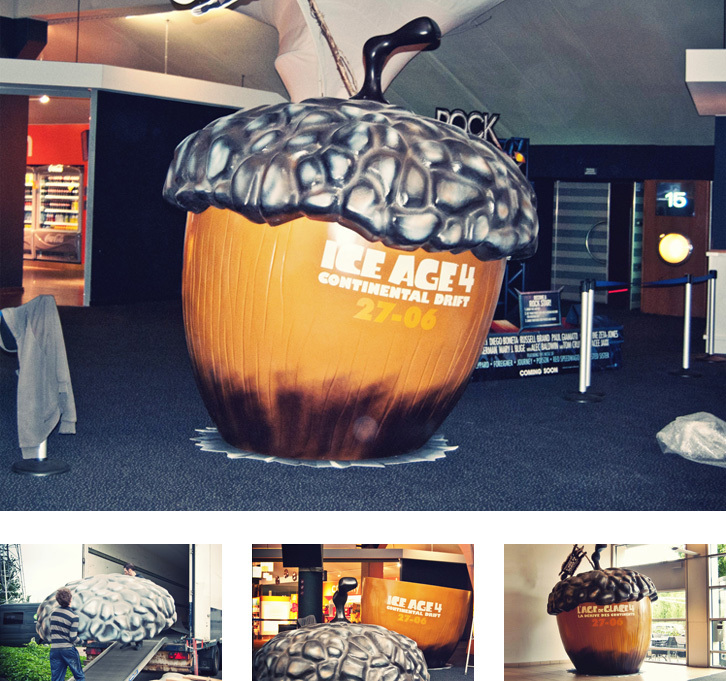 We went completely nuts to get indoor and outdoor attention and simulated a ‘huge acorn crash’ in 5 of the biggest cinemas of Belgium. Just as a ‘small’ reminder near the ticket booths. And a great photo opportunity. 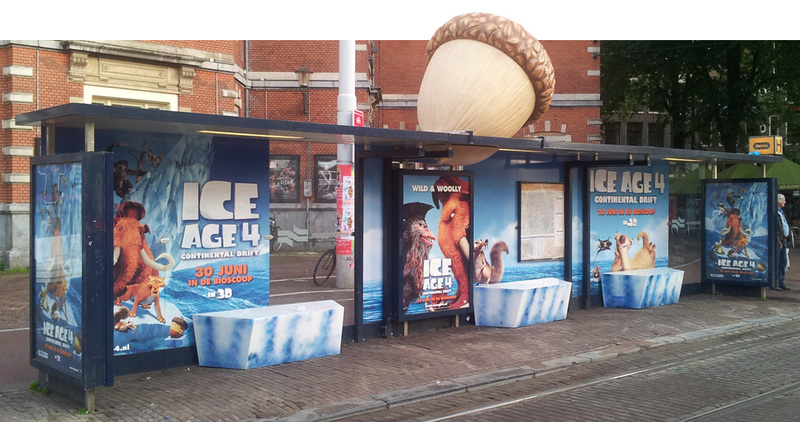 In the Netherlands we even used the branded bus stops for our acorn invasion!